The history of the longest-running family owned publication in the country, The Betoota Advocate, can date back to its earliest operations in the mid 1800’s. After a few trial and error publications in the area, our paper was initially set up as the perfect centre-point to provide print news to some of the bigger towns in Queensland’s Channel Country (Windorah, Bedourie, Birdsville). 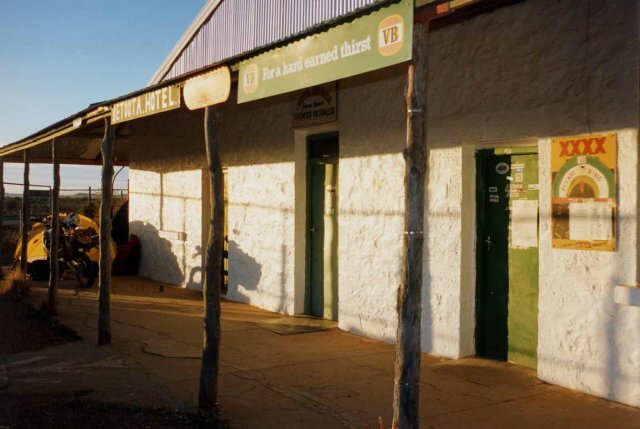 The Betoota Hotel, one of the oldest buildings in town and only two streets behind our office. In 1885, the Queensland Government opened a customs post to collect a toll for stock travelling the stock routes and Betoota became something like an inland port. Servicing locals and the transport operations between South Australia, New South Wales, Queensland and the Territory. Those were big years for both Betoota and our paper. In more recent times, our town has suffered through devastating drought and flood, it is a harsh landscape we live in and a lot of our local farming dynasties have sold up and moved east. Although the paper has kept operational, we have been barely able to survive off the remaining farming families in the district. The breathtaking Channel Country, our backyard. Things began to change for the better shortly after the annual Betoota races in early August 2014. One of our younger cadets suggested the idea of a slight reformat and for us to make the bold move online, something that has proven to be quite a success. Within weeks our follower-ship doubled and our locals readers urged us to pull back from our print and focus on the ‘iPad news’. We hope to do you, our readers, proud. While our reporting tends to occasionally steer outside of the Queensland Channel Country, we will always put our town first. Regional first, metropolitan following. The age old Betoota Advocate logo. Lyrebird’s are native to our beautiful town.